Justices made the decision months after the teenager, who was in federal custody in Brownsville, terminated her pregnancy. Federal officials argued they didn’t have time to appeal a lower court’s ruling that cleared the way for the procedure. The federal government complained that it had been misled about the timeline for Jane Doe’s abortion, which prevented it from appealing to the U.S. Supreme Court in time to block the procedure from happening. 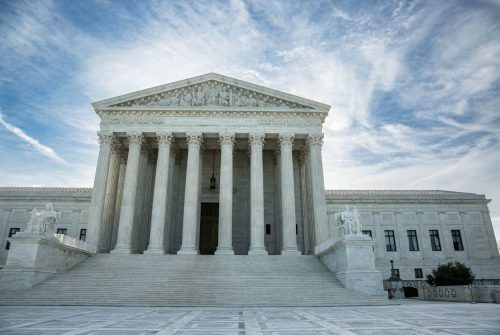 In a five-page order Monday, the Supreme Court vacated the lower court order allowing the abortion but said it did so because the issue had become “moot” since the teenager’s pregnancy has already been terminated. In the early stages of the case last fall, the federal government had argued that it was not obligated to release an undocumented minor in its custody for an abortion. The high court’s order Monday did not address that question. Instead, the justices said it is their “established practice” to vacate orders when when the issues prompting them have become moot. The justices did not sanction lawyers for the teenager in their Monday order. Monday’s action pertained to only one narrow part of the case of one young woman. A pending class action suit in federal court involves others in similar situations. A separate court order currently prohibits the federal government from obstructing other undocumented minors from seeking abortions. Doe’s case first emerged last fall when the teenager was blocked from leaving a federally run Brownsville shelter to have an abortion, even though she had received legal authorization for the procedure at the end of September. The federally run shelter refused to transport the 17-year-old for her abortion or to release her to her court-appointed guardians so that they could take her. Instead, she was forced to go to a crisis pregnancy center, where women are dissuaded from having abortions. The federal government argued through the ensuing month-long legal battle that it is not required to facilitate an abortion for a minor in its custody and that Doe could seek the procedure by returning to her home country. The American Civil Liberties Union took up Doe’s case, which eventually wound its way to the U.S. Court of Appeals for the D.C. Circuit. A three-judge panel on that court originally ruled Oct. 24 that she could not immediately have the abortion, but the full court reversed that decision four days later, clearing the way for the procedure. The next morning, Doe terminated her pregnancy. About a week later, the federal government asked the Supreme Court to invalidate that ruling so that it would no longer serve as legal precedent. Brigitte Amiri, a lawyer for the ACLU, told The Texas Tribune in October that there are several hundred undocumented pregnant teenagers in federal custody, though it’s not clear how many of them are seeking abortions. In that petition, the Department of Justice argued that Doe’s attorneys had misled them about the timeline for her abortion, preventing them from appealing to the Supreme Court to prevent the procedure from happening. Throughout the legal battle, time was a critical factor. As of Oct. 24, Doe was 15 weeks pregnant; Texas law does not allow abortions after 20 weeks. Paxton praised the order Monday, saying the high court “made the right decision” to vacate the lower court’s ruling.